spillyjane knits: Cheezburger Mittens! You can has! Hot off the grill -- fresh, tasty and delicious mittens onna bun! Allow me to serve up the I Can Has Cheezburger Mittens! It's BBQ season all over again in the dead of winter. Whether you crave a nice grilled mushroom, a black bean burger or something of the more meaty persuasion on that bun, these mitts will hit the spot. Add your favourite toppings! Instructions are provided for making these fingerless as well -- perfect for that early- or late-season cookout. January 7, 2011 at 12:56 p.m.
January 7, 2011 at 2:33 p.m.
January 7, 2011 at 3:10 p.m. Your patterns are amazing! Seriously, how do come up with this stuff? Absolutely love it! Ditto from above: new blog-stalker alert. January 7, 2011 at 4:17 p.m. 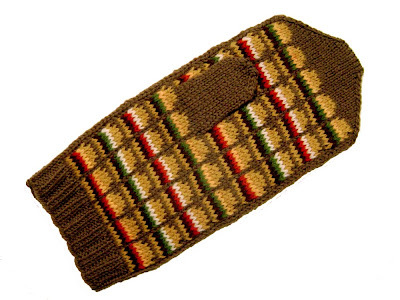 These mittens are wonderful and the name made me laugh - my daughters are obsessed with "I can has cheezburger!" so I guess I ought to have a go at these for one of them! Love your blog, only recently discovered it, probably late to the party because I've never knitted proper mittens before, just fingerless ones. January 7, 2011 at 5:46 p.m.
January 7, 2011 at 5:56 p.m.
Wow. what a find. am in love with your mittens and your writing. impressive stats for today! 65,000 and counting! I'll be reading you regularly! January 7, 2011 at 9:35 p.m.
Oh my gosh...now your secret is out...The Harlot blogged about you, and I hope the server can handle all the new traffic it'll generate! FTR, I understand her obsession with your mittens...I purchased Anna's Mittens the other day, and will cast-on this morning! YAY! Congrats on the mention, too! January 8, 2011 at 8:40 a.m. Here comes another one via the Yarn Harlot. I love your designs and I'm so happy to have found them. I'm about to start your strawberry mittens - so cute. BUT we can't get knitpicks palette in the UK. So I'll need to find a substitute. Which had better be a good'un, cos I can feel plenty of your mittens coming down the pipes. January 8, 2011 at 7:09 p.m.